In line with its development mandate, the Central Bank of Nigeria (CBN) has explained that the food security program which was initiated in November 2016 on a Public Private Partnership (PPP) basis has started yielding the desired results. 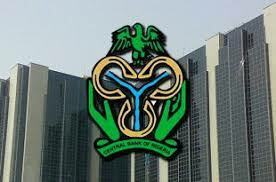 According to the central bank, the federal government has decided to buy back the grains from the companies supported by CBN with the intention to distribute same to Internally Displaced Persons (IDPs) in the various camps across the country. The Bank said its decision to support the food security initiative was then necessitated by the desire to stabilize the rising grain prices coupled with dire need for the federal Government to shore up its Strategic Grain Reserves. It further pointed out that despite the good grain harvest experienced by farmers, there was a huge demand from other African countries through the land borders occasioned by the fall in naira value.